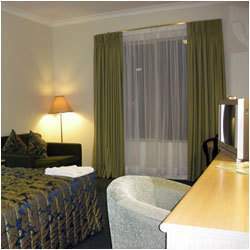 The Quality Hotel CKS Sydney Airport (formerly Airport Sydney International Inn) is a quality 3.5 star hotel just minutes from the Domestic and International terminals. 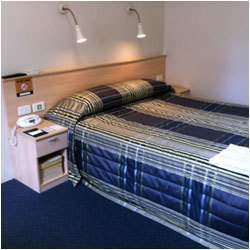 This hotel is one of the best value hotels at Sydney Airport, offering cheap quality accommodation in Queen, King and Family rooms. 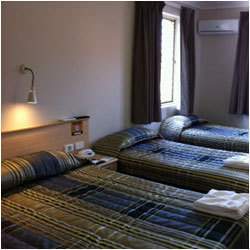 All rooms offer an ensuite bathroom, flat screen television, mini bar fridge, and the hotel has 24 hour reception and ample parking. 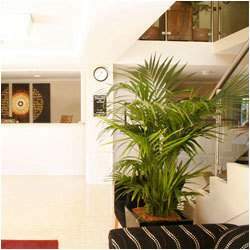 Quality Hotel CKS Sydney Airport also offers breakfast onsite, a business centre, and very convenient airport transfers at a small additional fee ($6 each way). 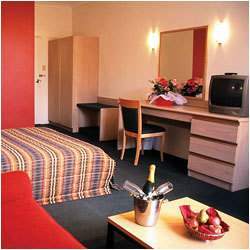 Broadband is available in every room, along with tea and coffee facilities. 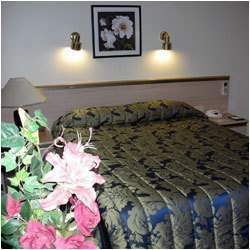 Room types vary from simple and cheap standard rooms, through to Deluxe Queen rooms with spa bath. 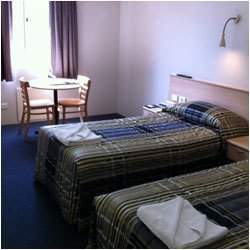 This hotel is ideal for an overnight airport stay that is stress free, with extensive onsite airport parking available. Parking is just $15/night, with the same rate available should you need to leave your car longer while you travel. This is simply the cheapest airport parking available! Directions to parking: From the city centre take South Dowling Street South. This becomes Southern Cross Drive. Turn right into General Homes Drive to the airport and continue past the domestic and international terminals. Once past the international terminal, turn left over the Cooks River bridge onto Marsh Street. Take the second left into Innesdale Road the first right onto Levey Street. The hotel entrance is on the left. 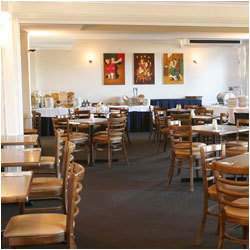 "From the International arrivals terminal, from Arrivals court veer onto Cooks River avenue . This becomes Marsh Street. Take the first right into Innesdale Road and the first right onto Levey Street. 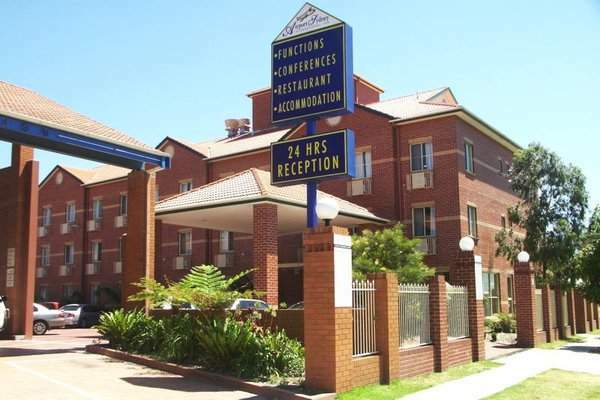 The hotel entrance is on the left.From the Domestic arrivals terminal, first turn left onto Qantas Drive this becomes Airport Drive. Take the first right into Innesdale Road and the first right onto Levey Street. The hotel entrance is on the left. 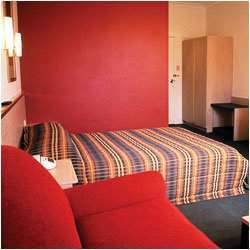 Quality Hotel CKS Sydney Airport is 2 out of 10 based on 1 customer votes & Yelp reviews.